The cast of Playwright’s Arena’s 2017 production of Velina Hasu Houston’s “Little Women (A Multicultural Transposition).” Some cast members will return for the staged reading. A staged reading of “Little Women (A Multicultural Transposition)” by Velina Hasu Houston will be presented on Saturday, Dec. 15, from 5 to 8 p.m. at the Japanese American National Museum’s Tateuchi Democracy Forum, 111 N. Central Ave. in Little Tokyo. Inspired by the novel “Little Women” by Louisa May Alcott, Houston’s play follows the Mayeda sisters as they move from an incarceration camp to an uncertain, changing future for Asian Americans. Told from the perspective of Josephine Mayeda, the second-oldest daughter of Marmee Chang Mayeda and Makoto Mayeda, we follow her journey from adolescent dreamer to professional writer. All the while, the family’s story is framed through the greater context of the American Dream. Houston’s take on the classic novel and its characters offers a perspective steeped in the rich history of not only America but the Los Angeles of the present and future. 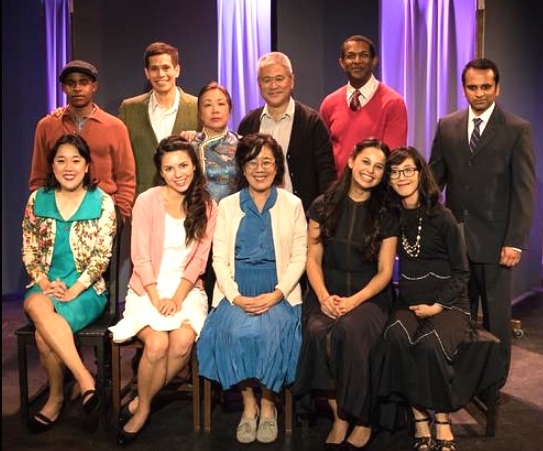 Co-produced with Playwright’s Arena and directed by Jon Lawrence Rivera, the play stars Krista Marie Yu, Jully Lee, Jackie Misaye Lee, Rosie Narasaki, Sharon Omi, Ken Narasaki, Karen Huie, Nardeep Khurmi, Peter Pasco, Ken Ivy, and Ben Guillory. Some cast members are reprising their roles from Playwright’s Arena’s full production last year. Cost: $25 general, $20 for JANM members. For more information, call (213) 625-0414 or visit www.janm.org.